It’s your vacation – your time to relax and recharge, explore mountain peaks, local food, beer or art… or just mark another destination off the travel wish list. Whatever reason brings you to the Asheville area, booking directly through us for your Asheville vacation will save you time, money and give us an extra opportunity to offer you our award-winning customer service. 24/7 assistance from our local team; avoid surprises so you can enjoy your vacation! Sites like Airbnb, VRBO and Homeaway charge you an additional service fee. However, when you book directly through GreybeardRentals.com, we guarantee the lowest available rates and lowest fees on our rentals. Book direct and skip those unnecessary fees! Our web discounts are exclusive to our website. Sign up for our email newsletter to get the latest info about which homes are offering deals for your next vacation. All of our staff works, lives and plays in the Black Mountain and Asheville area! What does that mean? We have great partnerships with popular local attractions. We can offer you discounted 2 day passes to the Biltmore, discounted zipline and rafting trips and more. Check out our Guest Services options. 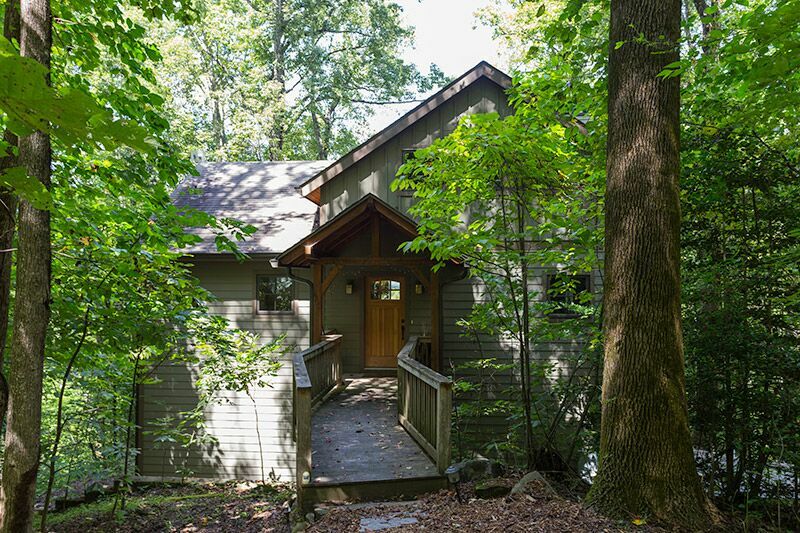 From romantic one bedroom bungalows within close proximity to town to luxurious 9 bedroom private homes, we have the largest selection of vacation rentals in the Asheville area with nearly 200 choices to fit a variety of amenity preferences and group sizes. We offer a wide range of accommodations for a wide range of budgets. Whether you are looking for an affordable mountain cottage or a luxurious mountaintop escape, we have a variety of options for you to escape to the mountains. Choose from everything from bungalows within walking distance to town to secluded mountaintop getaways. All of our homes have private access, no shared spaces. Hotels can be costly! With a whole house, you can bring the whole family and have your vacation just the way you like it…after you have completed a day of Asheville exploration, why not have the flexibility to cook meals at your vacation cabin rental, stretch out on a private deck to enjoy a mountain sunset, grill out, sit fireside, soak in a hot tub…the possibilities are endless.